Ireland earned a landmark 20-16 win over Australia on Saturday as Jonny Sexton's boot helped them secure their first away series victory over the Wallabies in 39 years. Both teams scored a try in a scrappy contest but the five penalties from the Irish fly-half Sexton earned the tourists their historic victory at the Sydney Football Stadium. Ireland dominated possession and territory in the first half but failed to make their opportunities count, securing only a slender three-point lead at halftime, before CJ Stander scored what proved to be a decisive try three minutes after the break. Australia responded strongly, with Marika Koroibete going over for a fine try but, despite sustained pressure from the home side, a late penalty from Sexton settled the game. 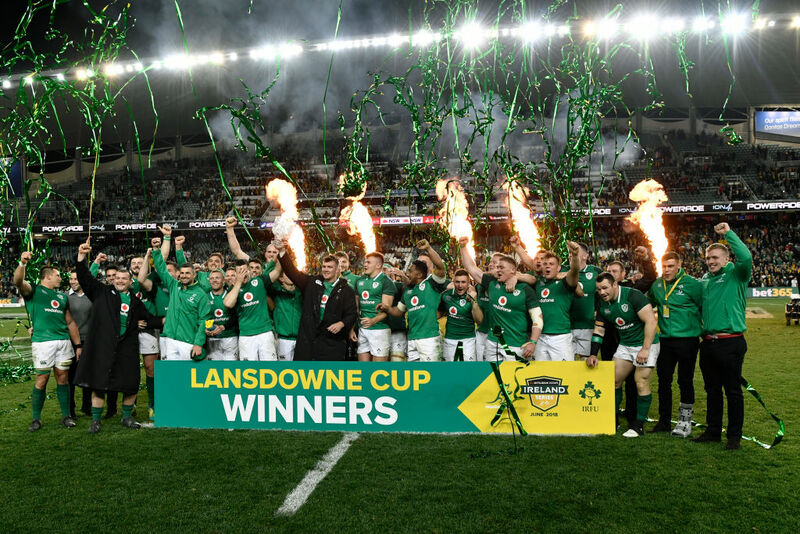 Ireland coach Joe Schmidt praised his team's resilience as key to their milestone victory. "We don't do this very often, 39 years ago," Schmidt said. "They were coming in waves and we managed to keep them out." Australia's coach Michael Cheika was critical of some of the decisions from French referee Pascal Gauzere. "I really want to maintain a culture of no excuses. You guys have seen what happened out there. The only ones who can answer questions about the decisions are the officials," Cheika told reporters at a post-match press conference. "Every time we got a bit of football going, we got penalised." Australia were left feeling aggrieved after being forced to play ten minutes of the first half without star fullback Israel Folau, a period in which Ireland took a lead that they never relinquished. Folau was sin binned for making contact with Irish captain Peter O'Mahony in the air as both players challenged to win a Wallabies kick-off. O'Mahony fell heavily, and was taken off by stretcher, but contact was minimal. Irish winger Jacob Stockdale was also sinbinned in the first half, but his forearm contact into the throat of Australia scrumhalf Nick Phipps drew fewer complaints. While Ireland were the only team threatening in the first half, Australia dominated much of the second. Ireland struck first after securing a line-out in Australia's 22 which allowed Stander to drive over the line. Australia, content to kick for territory in the first half, sought to keep the ball in hand after the break as they tested the Irish line with sustained phases of possession. Australia's dominance was eventually rewarded after flyhalf Bernard Foley kicked behind the Irish defence with Koroibete swooping on the grubber kick and breaking a tackle by Sexton to score. Just a point behind, Australia came close with their late pressure but a contentious penalty for Ireland near the Australian 22 offered the steely Sexton the chance to seal the win amid a chorus of jeers from a record home crowd.